It's hard for me to express it appropriately, I'm still overwhelmed by it, it hasn't completely sink in yet, that's how much I loved the last two episodes. Besides both episodes being extremely good, the animation was top-notch, it was very nicely paced, even the plot, it's Korra/Avatar Focus episodes. 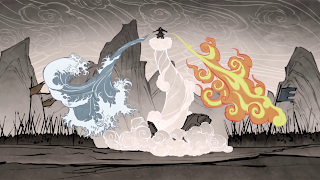 so what we learned about these two episodes, we can interpret that "avatar" is the fusion between the human spirit and Ravaa Light spirit, from what I can understand which comes theories about the essence of the avatar, Ravaa probably chose the next human, but the previous avatars stay fused with Ravaa, so they can guide the next avatar and help to bring balance to the world, it has lots of complexity and depth, the creation of avatar entity is by Wan and Ravaa becoming friends and working together, so it's very interesting. It's also very interesting Avatar Wan was the one who guide the spirits to come back to the Spirit World and sealed the portals so no human wouldn't physically enter the spirit world and also learn about the real purpose of the lion turtles, they were guardians of humans literally and spirits in a detached manner (also it seemed only the air nomads get along with spirits at the time, that's why they have the culture they have, ideals, teachings and convictions, once again it proves they are the most spiritual, very respectful of nature). Now the creepy part, the Dark spirit Vaatu, I'm having conspiracy theories about this spirit, as you have seen he is an manipulative spirit, you see when he fooled Wan to break free from Ravaa, also one more suspicious matters about it, Avatar Wan sealed Vaatu inside a tree inside what is currently the Spirit World, so no human could break him free, in another words, a human released Vaatu from his prison for dark spirits being around right now, because one of Vaatu abilities is to become spirits into dark spirits, my bet is it was Unalaq who break him free in similar way when Wan broke him free from Ravaa, persuaded Unalaq to free him, Unalaq right now is trying to fix the mess he did in a way to cover his mistake and to look good, make it look it was his older brother (using him as scapegoat), this is probably why he is trying to hurry the avatar to go to the portals called Harmonic Convergence. 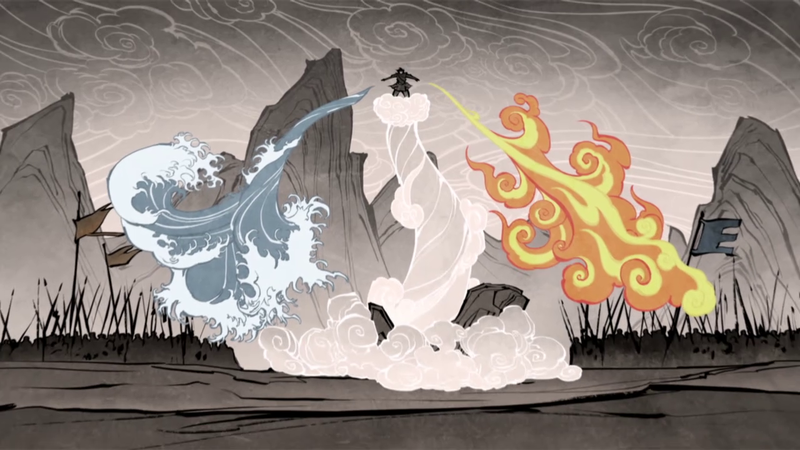 Harmonic Convergence, remember there is a title episode, which is episode 12, right after is the finale episodes 13 and 14, it makes perfect sense, Harmonic Convergence as we know is the portals between the Human World and the Spirit World, we can guess episode 13 and 14 will be the meet between avatar Korra and Vaatu. The Avatar Wan backstory sure strongly impacted Korra, she is catching things up, she sees the urgency and importance about the Dark spirits, I think after this, Korra will be much calmer and control her temper much better.